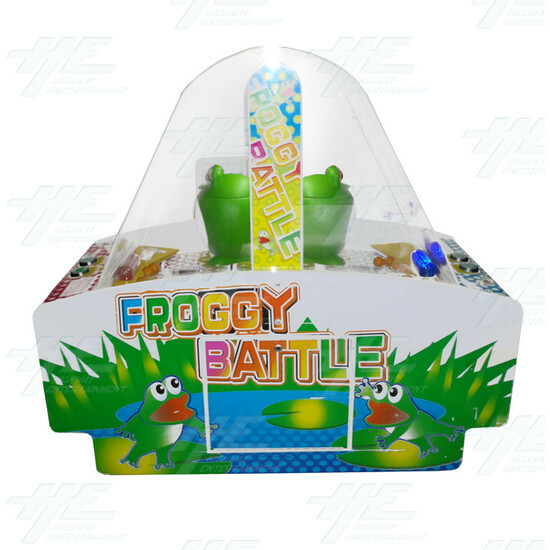 In Universal Space's Froggy Battle, the player who sends the higgest amount of balls in the frog's mouth within the allowed time wins the match. 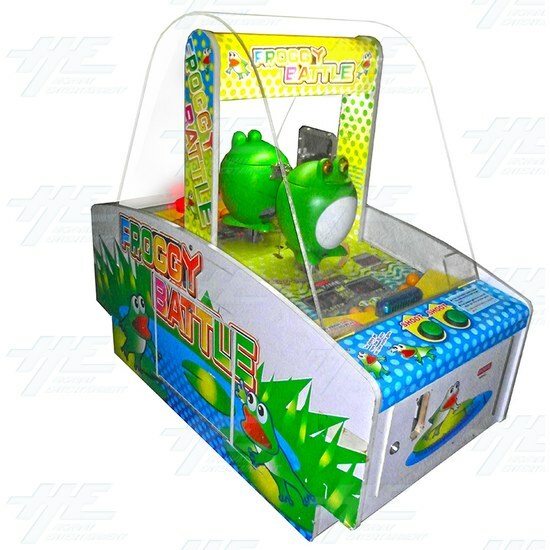 Froggy battle is loads of fun! The Frog moves up and down while the mouth randomly opens and closes to increase difficulty level and fun. 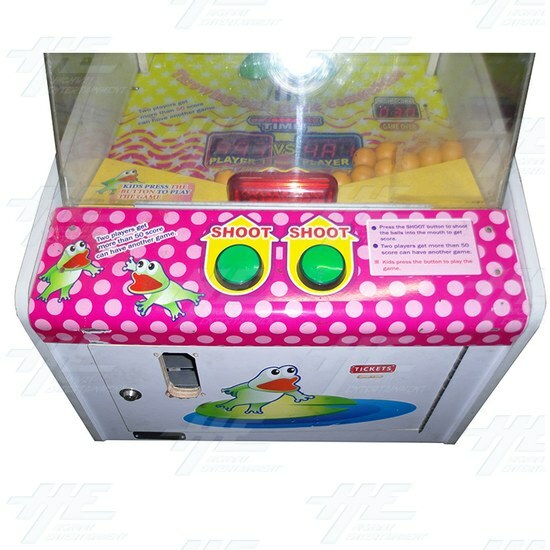 Including a nonstop shoot feature this game of skill will keep kids of all ages entertained. Froggy battle is loads of fun! 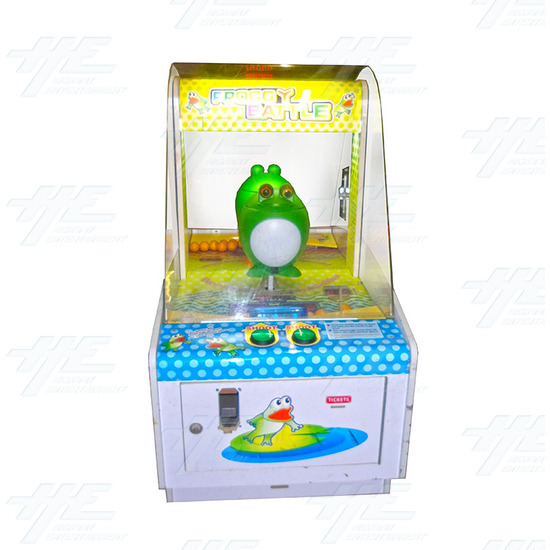 The Frog moves up and down while the mouth randomly opens and closes to increase difficulty level and fun. 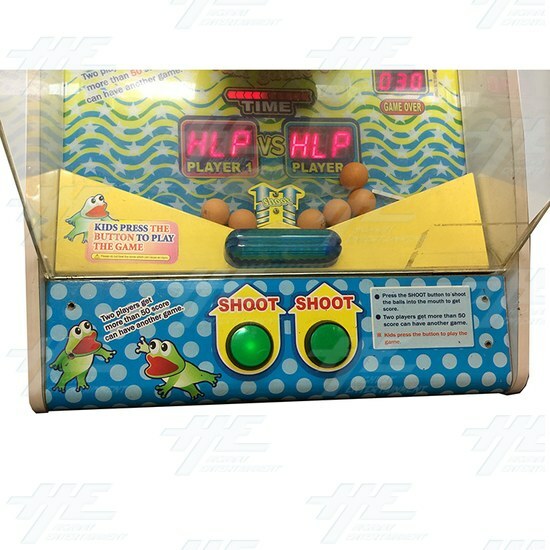 Including a nonstop shoot feature this game of skill will keep kids of all ages entertained.